If you have suffered personal injuries in Bravo Supermarket in Lehigh Acres, it might not be your fault. You may be entitled to compensation for your harms and losses. People from Bravo Supermarkets are friendly while you're shopping there, but once you get injured due to their mistakes, they are no longer your friends. You can expect them to refuse to admit the accident and their fault. It is the same in any supermarket in the Fort Myers area. It will be your job to prove your case because the burden of proof lies on the shoulders of the claimant. That's why you need to document your case as soon as possible. However, we don't advise you to do that alone. Bravo Supermarkets would love you to do so, but it is likely not in your best interests. Corporations count on your lack of information and experience in dealing with large companies like them, so they probably won't offer you the compensation you deserve. To avoid scenarios like this, call the Lehigh Acres Bravo Supermarket accident attorneys at the Wolfson Law Firm for help. Our fully bilingual staff will be happy to answer all your questions in a free consultation available at 239-777-9954. We handle all personal injury cases on a contingency basis, so you'll have no fees or costs to pay unless we recover for you. Bravo Supermarket is a supermarket chain that focuses on Spanish consumers in the United States. The products they offer aim to give them the feel of home countries, so it's no wonder that they have a strong presence in Florida, where many Spanish-speaking immigrants live. There are several Bravo Supermarkets in Florida. There is one Bravo supermarket in Lehigh Acres, located at 2909 Lee Blvd, Lehigh Acres, FL 33971. Aside from the 100,000 residents of Lehigh Acres, it also serves the surrounding neighborhoods such as Gateway, Cape Coral and Buckingham. The next Bravo can be found in Fort Myers. You shouldn't hesitate to claim compensation for injuries suffered in any supermarket accident if it happened due to their negligence. Simply put, you shouldn't hesitate to receive justice. 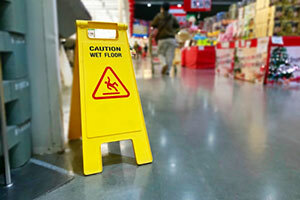 Under Florida premises liability laws, each Bravo Supermarket must take the necessary and reasonable measures to prevent foreseeable accidents at their premises. When they fail in doing so and that leads to the accident, they may be held liable to pay for the injuries. We have walked to the road of compensation recovery based on premises liability for our clients since 1963. The bilingual Lehigh Acres Bravo Supermarket lawyers at the Wolfson Law Firm are available to you for free consultations at 239-777-9954. We don't ask for fees until we get you compensated. Call us today and let us help you get the compensation that you deserve.